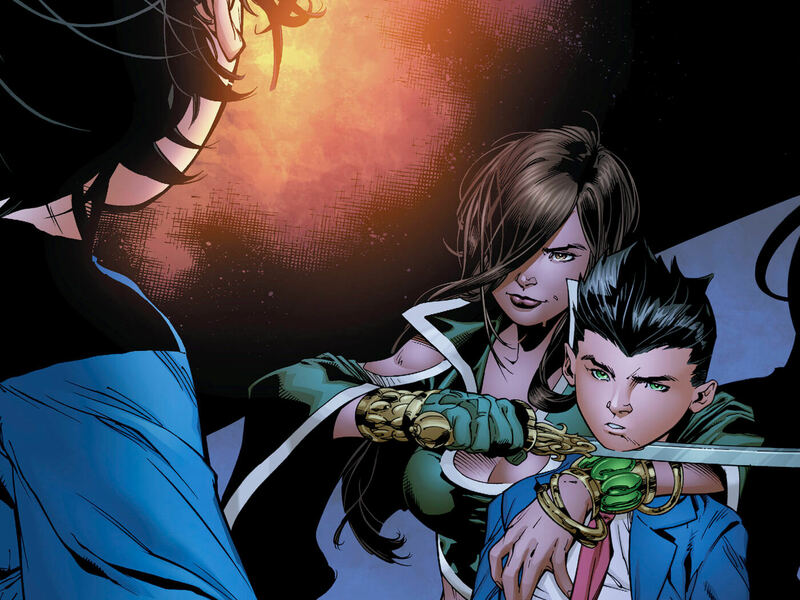 Robin takes Superboy out for training but an emergency came up that even overwhelms the Teen Titans. In Metropolis, Lois Lane was packing Jon some snacks before he goes out patrolling. She reminds him to be at home by time and asks Clark if they are doing the right thing, to which he points out that it is for the better to be open to Jon. Superboy joins Robin on a rooftop as he is about to receive training on the duties of a hero. They look out for jaywalking, stop bag snatchers, rescuing cats and changing tires for people but where Damian was rude, Jon charms people with his well behavior and mannerism. After finishing their rounds, Robin was trying to call his teammates on Teen Titans but Beast Boy came from behind as a cat, freaking Jon out before introducing Aqualad, Raven and Starfire to him. They came here seeking The Boy Wonder for an emergency and he ditched the Boy of Steel saying its Titans business. 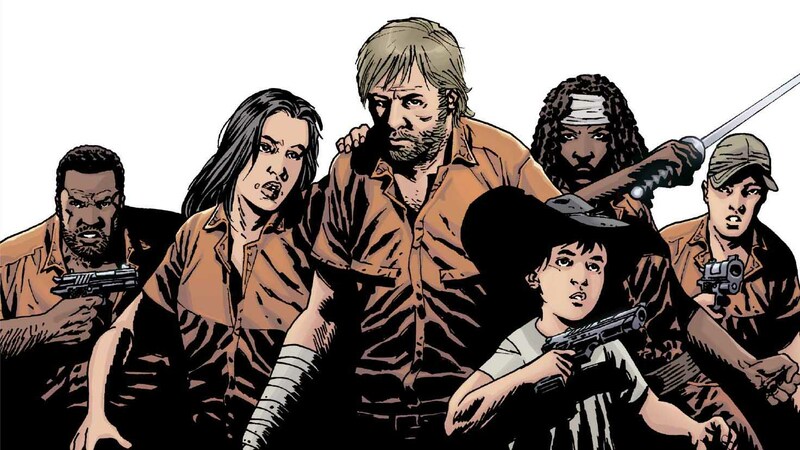 They head to the Hell's Gate section of town while Jon gets back home a minute early. Lois heads to Daily Planet to cover a story and Superman was already out with Justice League, leaving him alone at home. Following tracks of some weird energy signature, Raven comes near a wall and then suddenly, a hand reaches out and grabs her out. The team came under attack by two villains Atom-Master and Faceless Hunter, who make a quick work of them before the Titans could coordinate and then their third member, Time Commander reveals himself to the crowd. On behalf of their team of Forgotten Villains, they wish to deliver a message from their master Kraklow and caused Damian to rapidly age. A sleeping Jon wakes up when an elderly Robin shows up at his doorstep with his beaten teammates looking for his assistance. He says that he is not even a teen and Garfield points out that Damian is too old now, which is ironic. Robin approves Superboy joining their band and elsewhere, villainous magician Kraklow was waiting for them to bring help from elder heroes, like Justice League. Apparently, he was visited by his elder-self, who handed him over a box full of mud from a dead Multiverse to create these artificial villains from his visions and make a name for him. So, he started walking a path of never being forgotten, at his Rebirth! Superboy breaks in to their secret lair, it is flooded by Aqualad and the villains are slowed down. However, Time Commander gets a hold of things and freezes time to make a run for them but Jon was able to break out of it with his sheer will along with his team. 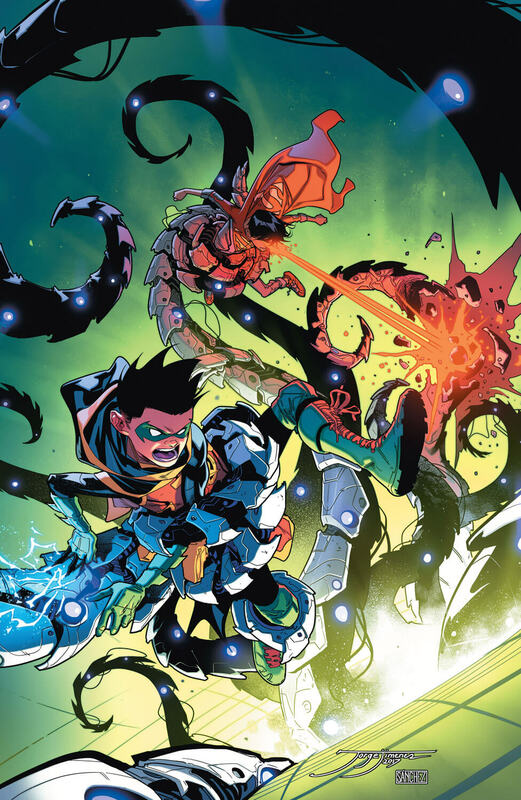 However, the Super Sons are then drafted into a war of another dimension which is threatened by Yggardis, the Living Planet. Also, they came across two young heroes, Big Shot and Hard Line, who unfolds new secrets about the magician Kraklow they fought earlier. Here is your links to buy "Super Sons – Planet of the Capes" from DC Comics in issues on Amazon. Here is your link to buy "Super Sons – Planet of the Capes" from DC Comics on Amazon. With DC Rebirth running in full swing, writer Peter Tomasi (Batman – Arkham Knight, Forever Evil – Arkham War) returns with the second storyline "Planet of the Capes" from Super Sons monthly ongoing series with artists Carmine Di Giandomenico (Daredevil – Battlin' Jack Murdock, Spider-Man – Noir) and Jorge Jiménez (Superman – The Final Days of Superman, Superman – Trials of the Super Sons). The plot is covered in issues #06-10 of the series from DC Comics and picks up from "When I Grow Up". 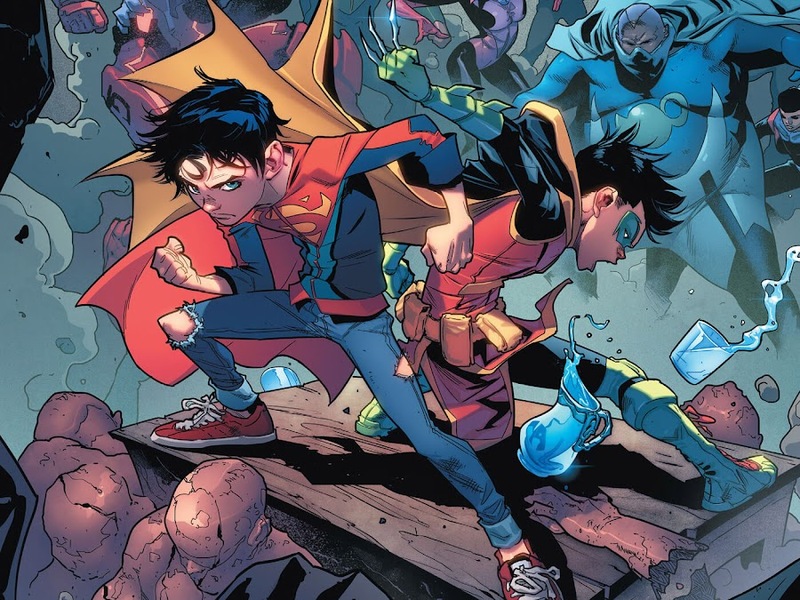 After going up against Kid Amazo and stopping him from unleashing his evil plan, both Robin and Superboy decide that they should team-up. 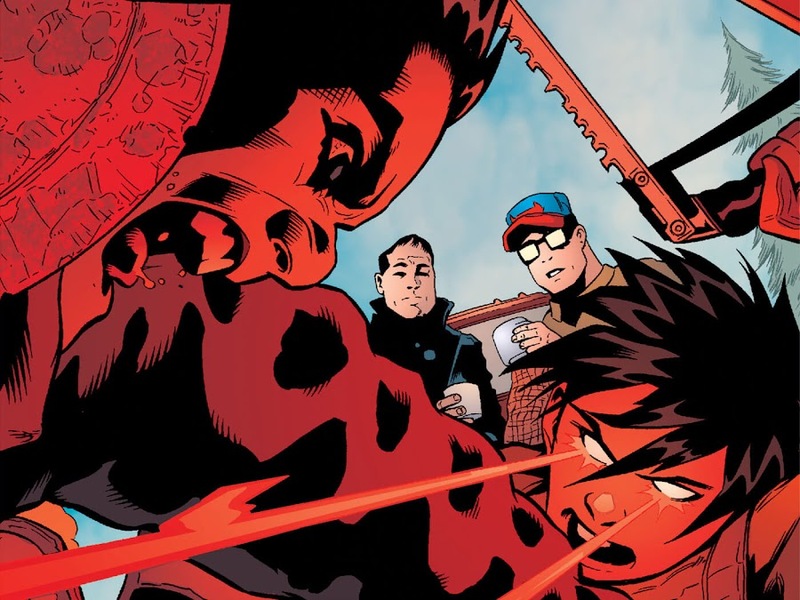 In spite of having super-strength, Damian believes Jon is not ready for crime-fighting yet and deems that he needs training. When they were at work, an emergency came up and the focus is then shifted to the matter at hand. Aside from the regular appearance of Super Sons, Alfred Pennyworth, Batman, Lois Lane, Superman and Teen Titans were featured in guest roles. Despite having very little in common among them, Robin and Superboy tries to stop Kid Amazo to take on entire Justice League! On his way to school with his next-door neighbor Kathy Branden, Jon Kent took side of a bullied boy that led him into a quarrel with few bullies, who arranged a snowball fight to hurt his friends. As Jon was about to lose his cool, the timely intervention of Damian Wayne saved the day, who was disguised as their bus driver and a substitute teacher. That night, when Batman was going out on patrol, he ditched an enthusiastic Damian behind for falling back on his homework. On Hamilton County, Superman flies off for a Justice League related emergency and Lois sends Jon to his bed afterwards. Just as he hit the sack, Damian sneaks back on him to take Jon along with him to investigate a case of break-ins at LexCorp, Metropolis which freaked out the latter for a moment. 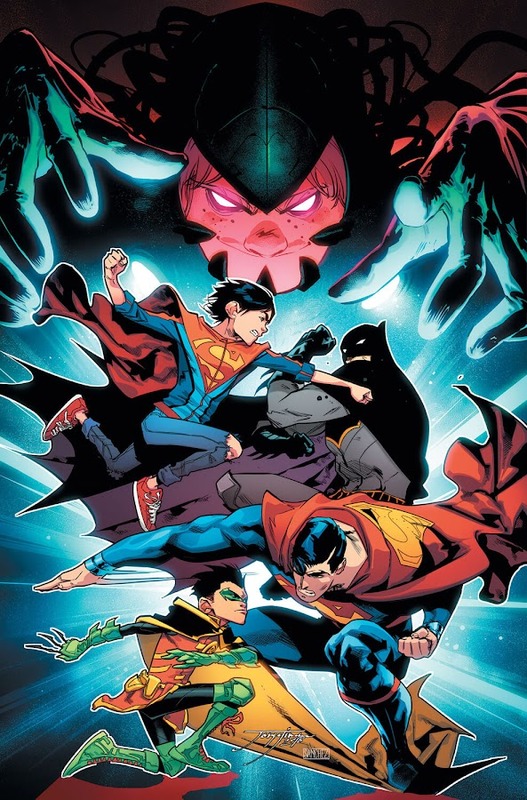 Both Robin and Superboy were making their way onto the top of the tower when they find Lex Luthor floating behind them in his new "Superman" armor. Since, Jon can't really fly, Robin throws Superboy down for Lex to rescue while he makes it to an unmarked level to look into but found Luthor back on his tail soon enough. These two make an escape but Robin manages to copy the security log before that. Jon took a look at the log and is able to detect a boy walking inside for the android Amazo and then camera goes dead. The boy is then seen in multiple places at the same time and Robin identifies him as Reggie Meyer using Batman's facial recognition database. There was an outbreak of the Amazo Virus which grant people power but all of them were cured then (Justice League – Injustice League). Reggie and his family were among the five percent who kept theirs and they formed the team "Super Duffies" to fight villains. Tracking the last known location of Reggie's family, the Super Sons head to Providence, Rhode Island. 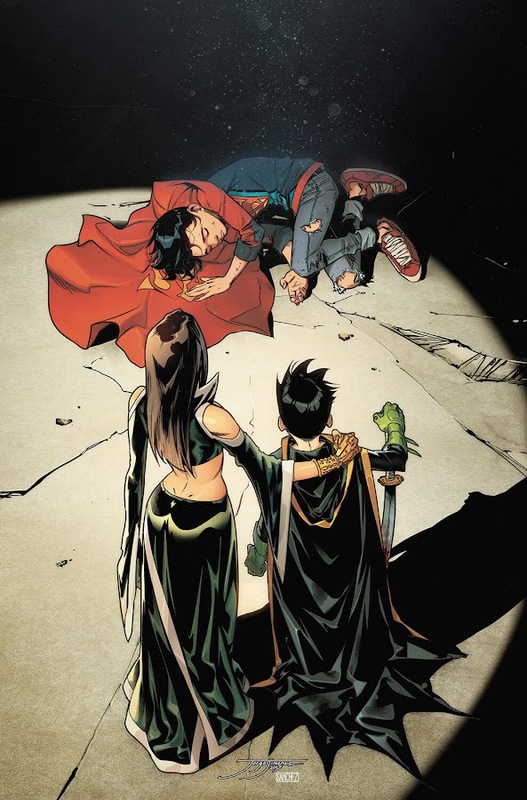 Robin was going through some old newspaper articles when Superboy discovered the deceased bodies of Reggie's family and decides to call their dads. Disagreement on the point led Jon to push Damian away and run into Reggie's younger sister Sara in the woods. Damian thought Jon has come back but it was the Man of Steel standing behind him and The Dark Knight ready to creep on Jon in the jungle. 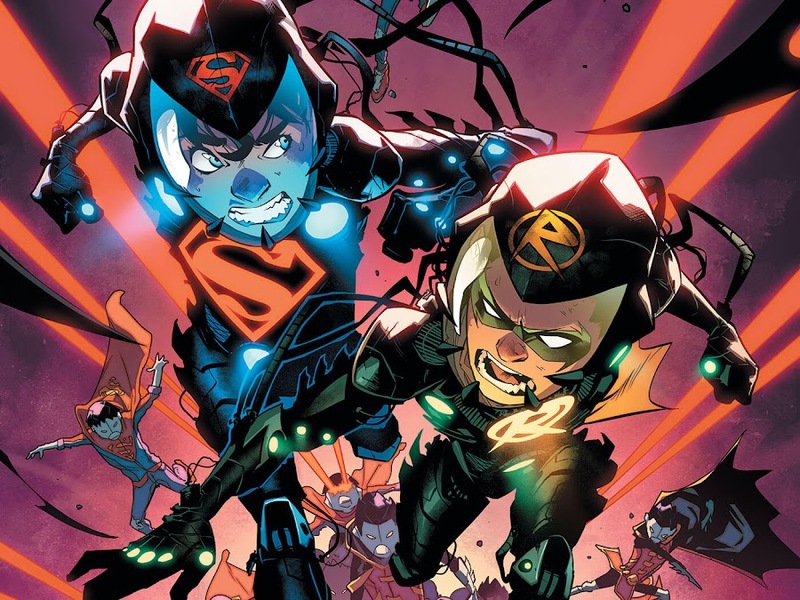 The hostile attitude of the World's Finest against the Super Sons has proved that they were actually some android doppelgangers sent by Reggie AKA Kid Amazo. Sara being a technopath helps them take down many those robots and explains Reggie's plan of stealing the Amazo Armor from LexCorp next. Using which he is creating "Amazo" duplicates that can replicate any power they came in contact with. As Robin is still reluctant about calling their dads or the Justice League, he and Jon are quickly surrounded by dozens of duplicates of themselves. 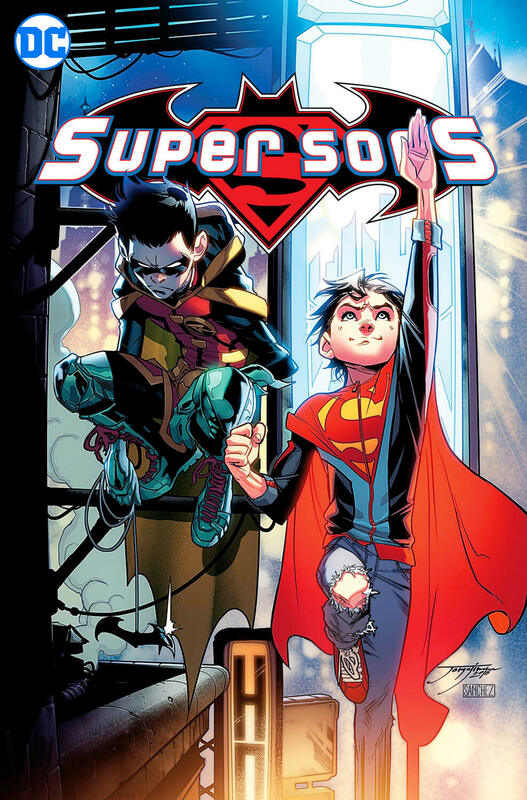 Here is your links to buy "Super Sons – When I Grow Up" from DC Comics in issues on Amazon. 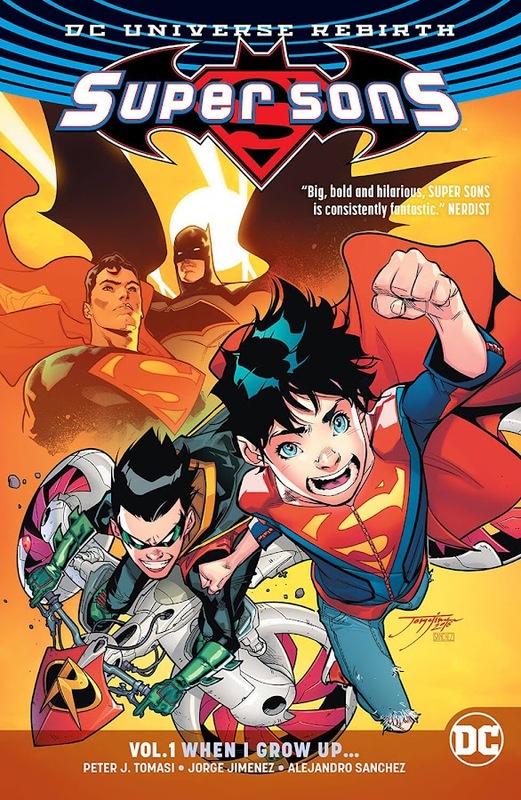 Here is your link to buy "Super Sons – When I Grow Up" from DC Comics on Amazon. 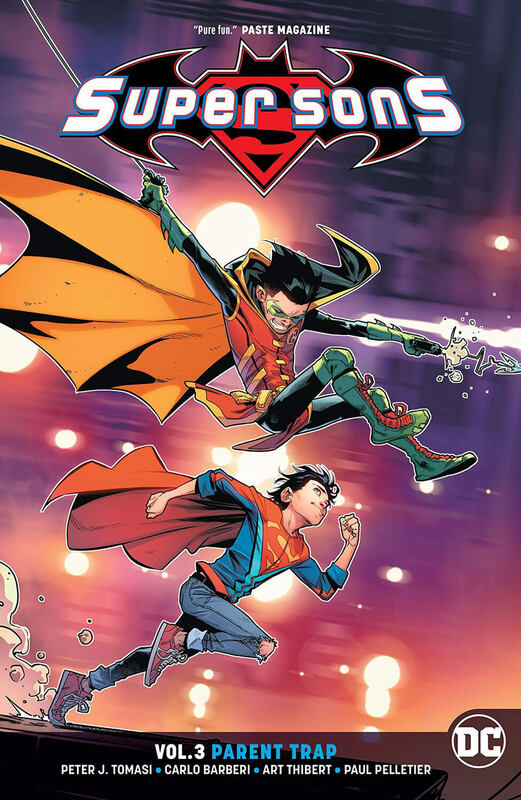 After having a few unofficial team-ups to fight crime under the cautious supervision of their over-protective fathers, Robin and Superboy finally have their very own monthly ongoing series titled Super Sons from DC Comics in 2017, which probably is one of the best gift we received from the DC Rebirth run so far. The first storyline of their official team-up "When I Grow Up" collects issues #01-05 from the series. 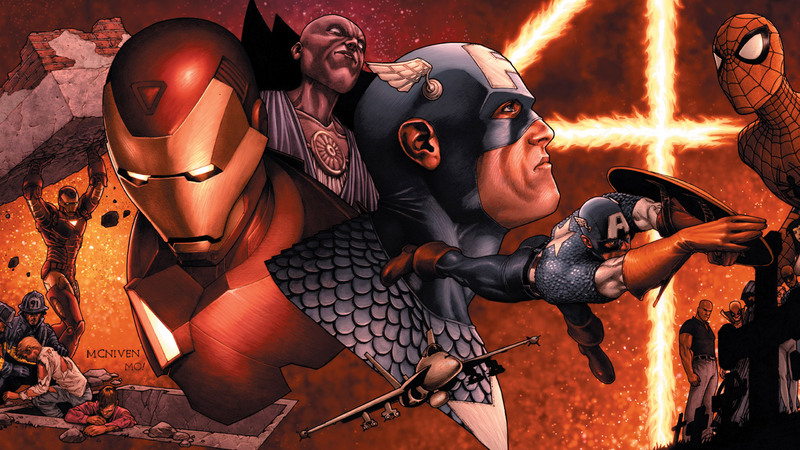 It is plotted by writer Peter Tomasi (Batman – Arkham Knight, Forever Evil – Arkham War) and he was assisted by artist Jorge Jiménez (Superman – The Final Days of Superman, Superman – Trials of the Super Sons) with his impressive drawing skills. 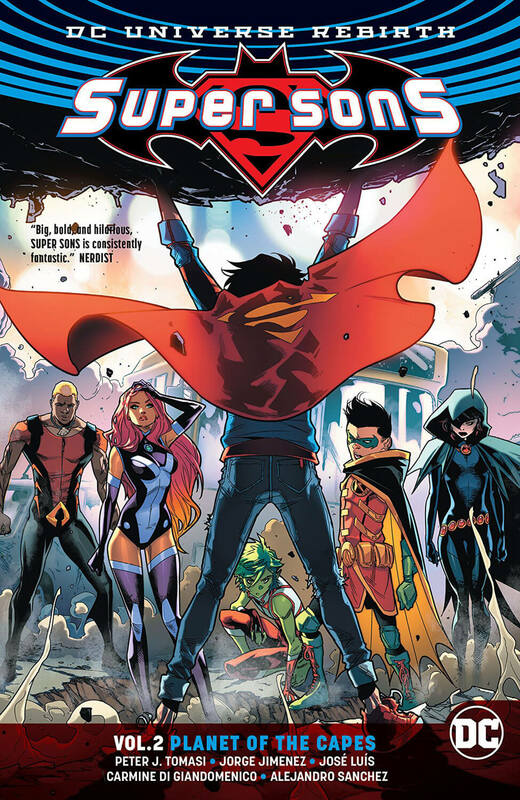 The story focuses on a solo mission Damian Wayne begin on his own when his father left him behind from regular patrol duty but quickly realizing he needs someone to aid him on it and he then approached Jonathan Kent to pick him up as some extra-muscle from Hamilton County while both of their fathers was away. Aside from Batman and Superman, Alfred Pennyworth and Lois Smith appearing in the story for their very important role of keeping the Super Sons in line. 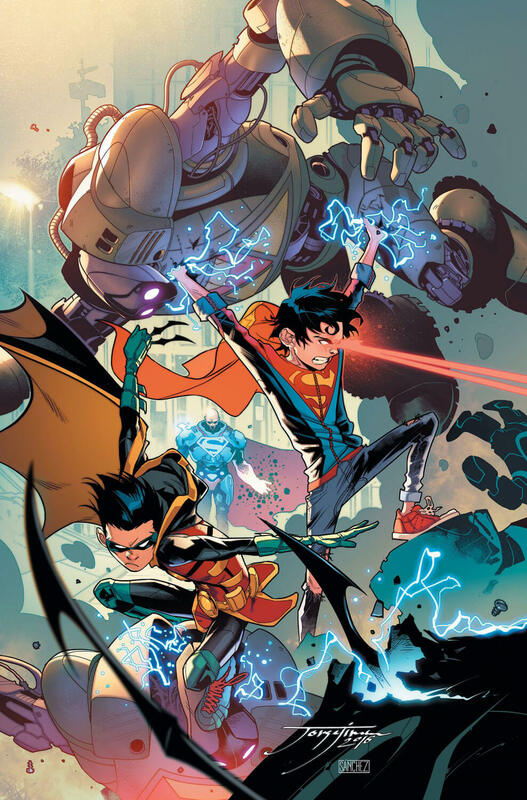 Following the core plot, there is a brawl in the Batcave between these two unsettling youngsters akin to the one seen in "Trials of the Super Sons", to set out their differences.